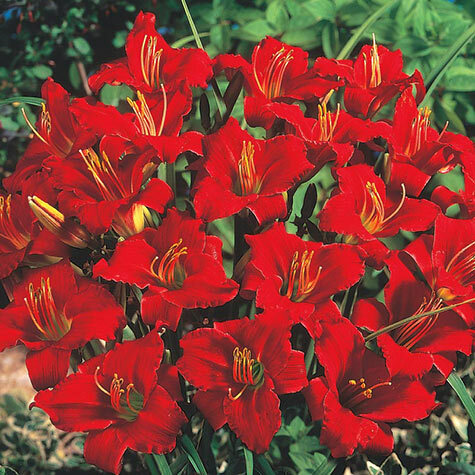 Little Business Daylily | Gurney's Seed & Nursery Co. The premier red! Flaming crimson, 3-in. blooms provide dramatic impact all summer long. Line a walkway or plant in groups for the most excitement. 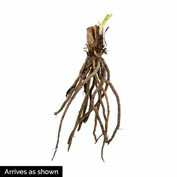 Dependable and vigorous plants grow to 17 in. tall. Depth: Dig 8 " x 8 " hole. Make cone shape with soil and spread roots over it, placing crown 1 inch below soil surface. Color: Raspberry-red with green throat. 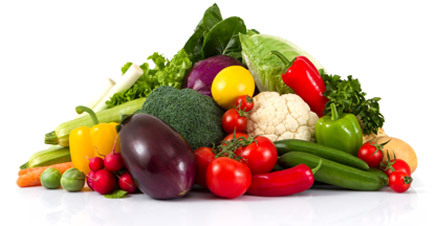 Foliage: Grass-like, long linear and medium green in color. Semi-evergreen, dies back for a short period in early Winter. Blooms: Early summer & late summer to early fall. Flower Form: 3 inch recurved blooms. Pruning: Dead-head. Remove spent flowers to encourage rebloom throughout the Summer. Allow foliage to die back. Comments: Knockout raspberry red, 3 inch blooms on 12 -15 inch stems make Little Business perfect for edging a border, lining a pathway or growing in containers. Petite blooms come early and often- and keep coming until fall! Neat clumps of grass-like foliage can also double as a ground cover. Hemerocallis. 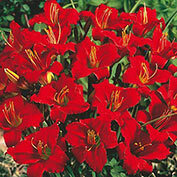 Miniature daylily flowers and dwarf height make this a versatile plant for the landscape. Easy to grow and maintain. Winner of AHS Annie T. Giles Award in 1975 for best small flowering daylily cultivar.